Sold by Repro Books-On-Demand (4.7 out of 5 | 2,952 ratings) and Fulfilled by Amazon. Gift-wrap available. The day Mr. Godbole retires from the agency things take a sinister turn. In a strange coincidence, India’s internal intelligence agency and the FBI of the US, come face to face in what was initially an innocuous conflict of interest. Both have their own binding reasons for their stands on the dispute and cannot budge to make space for settlement. When the matter escalates into a dangerous tussle, both try to avoid it spill into the public domain, wary of diplomatic fallout and possible repercussions on the otherwise two friendly countries. Therefore, the precarious game becomes a tightrope walk for both. To avoid complications they studiously keep their organisations away from clashing in the field. Despite their deft manoeuvres, in some time, things go out of hand and both parties suffer setbacks. 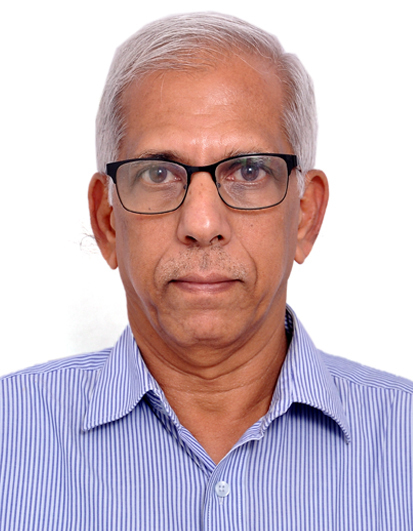 With Mr. Godbole positioned in the eye of the storm, while battling personal loss… will both sides come together to understand each other position?. Balakrishna Kamath is a former IB officer. He is a recipient of the coveted national level honours such as the Indian Police Medal and President’s Police Medal. Although passionate about writing, being in Government service, Kamath had no opportunity to write for open media. It was only after he hung up his professional boots that he started writing, mainly fiction, for public domain. 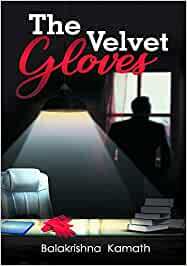 Start reading THE VELVET GLOVES on your Kindle in under a minute. The book is a fictional account of how India's Intelligence Bureau (IB, referred as "the Agency" in the book) and US' FBI get into loggerheads due to misgivings of each other's actions. It is a fast paced, compact, and hard-to-put-down book. In fact, one can finish it in 3 or 4 sittings; ideal for a weekend read. Though it is a work of fiction, the author's professional experience in the Agency is easily visible. The events seem realistic. The media coverage, pressures on the Indian Government (especially the Home Minister), a restless opposition, and the pressures on the faceless Agency officers while handling personal issues give an insight into the workings of these officers and operatives. Yet, both the sides labour to keep the conflict under wraps for danger of diplomatic fallout and resultant public outcry. The last chapter is a masterpiece, and needs a special mention. This is where the book slows down, and one can see the very fine aspects of psychological and defensive techniques between the two agencies. There are various other subtler points sprinkled throughout the book, if one is careful enough to read in. There are some minor errors that can be glossed over. I do wish the author pens more such books. 4.0 out of 5 starsTotally Indian!!! The book stand apart with regard to english and american authors. The sole purpose for the order was to get acquainted with indian crime writing and i think it does pretty good job regardingly. In comparison i find things are too expodent and common things rather making self understandable are made explicit which makes events even more ellaborate and to be frankly boring. Though overall, one can really enjoy the indian writing and get experience with indian intelligence working. This one is impossible to put down. The plot is superb, the narration top class and the sequence with the inclusion of flashbacks at the right moment weaves into a masterpiece.... Although, a fiction, it gives an great deal of idea the dilemma an operative has to go through during his stressful work. One book which I might not pass to people and will keep it in collection. After a long time you see a perfect spy thriller. It is a riveting saga of a retired intelligence officer getting involved in couple of operations. The officer is never off duty. The language is simple for even a layman to understand. It gives an idea how the system works to reasonable detail. I am sure you will see movie or a web series created out of this book soon. You would not like to put the book till you finish! Awaiting more the author.. Good Luck. Excellent spy thriller with a mix of emotion. Set in familiar Indian background, the story starts at a slow pace and picks up speed from mid way. Sounds as if a real event is being narrated. Overall a good read.